You have found the Internet's most comprehensive website dedicated to Yamaha's two stroke production TZ, TD, TR and TA roadracing motorcycles from the 60's, 70's and early 80's. 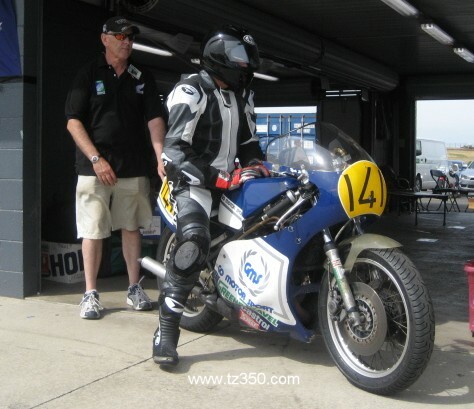 TZ's are Yamaha's production 2 stroke roadracing motorcycles. They are 100% competition bikes and were never intended for road use at all. Picture: Dave Ogden has owned this MacIntosh framed TZ350F since new!